I recently joined the team at Juicy Results and one of my duties is to interact with other small businesses and entrepreneurs across different social media channels. Our company goal is to reach 1,000 relevant followers – and I know what you are thinking – piece of cake! But my fellow marketers, it’s easier said than done. With all the riff-raff it takes time to dig deep and find your target audience; its all about quality, not quantity. As a beginner, I wasn’t sure who to follow, how to find them or how to create relationships based on messages of 140 characters or less. I have been learning the ins and outs of the Twitter realm through observing others and exploring Twitter related applications and websites. Our Marketing Director, Lisa, said something to me that spurred this post; she said that Twitter and Facebook should be easy for me since I am young and have been keeping up with the interfaces since their beginnings. However, this is not the case. One year ago I was in Chongqing, China working as an English teacher for freshman students at a university. I had heard about the different Internet restrictions, but I wouldn’t understand the implications until I experienced them firsthand. After what seemed like an eternity (really just one week) of waiting for the Internet to be connected, I logged on only to discover that I could not check my favorite social media sites or read my bookmarked blogs. I felt like I had entered the stone age! It was back to the basics; I had to use email and snail mail to communicate with others and, when I was lucky, I could catch friends on Skype. While I was in China I had to work hard to find the same information everyone in America was getting in an instant. When I returned to the states, I visited my favorite sites and got a bittersweet feeling. The simpler life was over and the challenge of keeping up with social media sites had begun. Facebook and Twitter had surely not been stagnant while I was abroad. I want to share a few tips that might help others get the ball rolling when beginning to use Twitter for marketing. It’s useful to create a plan and stick to it. I suggest creating two blocks in your day, one in the morning and one in the afternoon, set aside for tweeting. I personally enjoy Hoot-Suite to organize my accounts and to send updates across platforms simultaneously. It also conveniently allows you to schedule tweets for a later time or date. Use hash tags (keywords that are pertinent to your business and industry) but don’t use so many, where they being to retract from your message. There are many sites that help you build and maintain a relevant following. Sites such as nearbytweets.com, and wefollow.com allow you to search by location and furthermore, by category. For reputation management, you can use Twitalyzer.com. You can search for yourself and see what others are saying about you or your business. When possible, change your Facebook and Twitter avatar to something that represents your brand or company instead of something generic to give you a unique personality. Vary up your content medium! Use a video here, an interesting article there – you get the picture. Don’t forget to thank others when you use their resources or when they provide you with information of value. Reciprocate by mentioning them in one of your own tweets to build relationships. This seems obvious but it’s easily forgotten – leave enough room in your tweets to get retweeted! Don’t forget to add us on Twitter and Facebook to catch Juicy Results’ updates and see what we are up to! 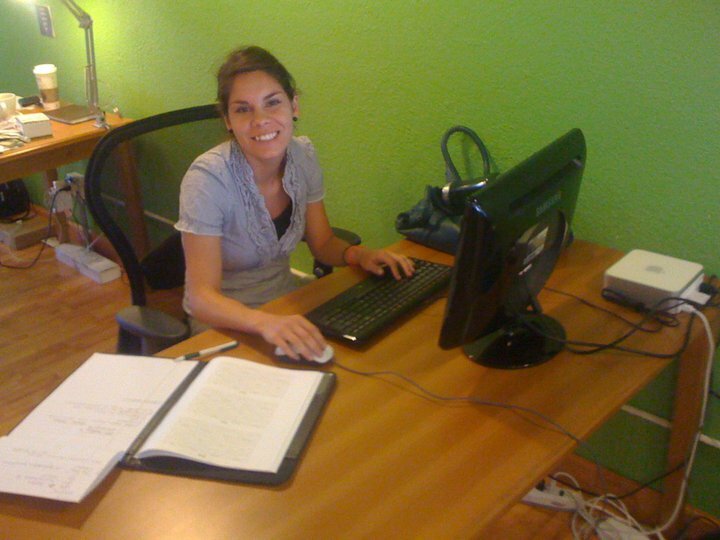 Carolina Zapata is out first ever marketing intern at Juicy Results. She’s repeatedly handled items we never anticipated being within her comfort zone. This blog post is another example of the great ideas she brings our way every day. Look for more Juicy content from Carolina soon.